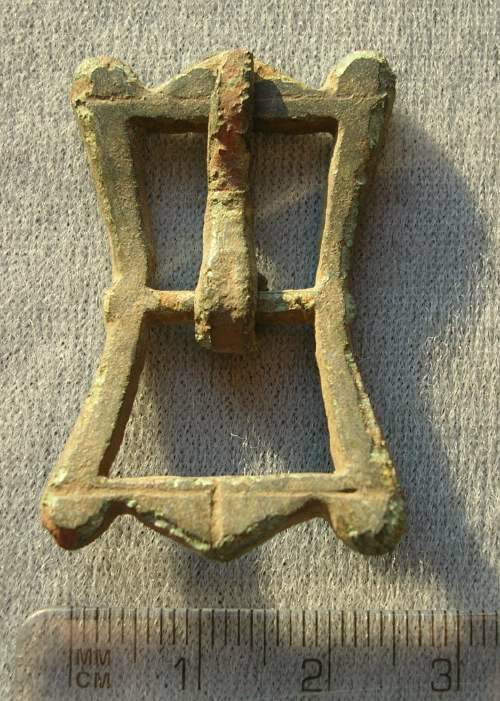 18th century copper buckle found in Dornoch woods, possibly for a belt. Rectangular, narrowing at centre, with decoratively shaped ends. Flat pin looped over central bar.